Parking will be in marked, designated lots with complimentary shuttle service provided to the Home Office. Parking at the MLK building is on site, and easily accessible. *If your application is approved you will receive a detailed agenda. Dress code is business professional. Network Reception Dress Code: Event is held outdoors, dress code is business casual. Upon arrival to the lobby, please check-in to receive your guest name badge. You will need valid, government-issued ID in order to check in and get your badge. It is Walmart’s policy to never accept nor solicit gifts or entertainment from any supplier, potential supplier, government, or any person the associate has reason to believe may be seeking to influence business decisions or transactions. There are several area airports listed below with distance to the Home Office. Please wait for attendance confirmation to book travel for this event. Northwest Arkansas (XNA) – 12.8 mi. Fort Smith, AR (FSM) – 83.6 mi. Branson, MO (BKG) – 85.9 mi. Tulsa, OK (TUL) – 110 mi. 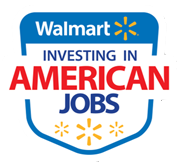 Use these links to discover hotels, restaurants, and entertainment options near Walmart’s Home Office in Bentonville. Arriving by private, corporate or charter aircraft? One option in Northwest Arkansas is Beaver Lake Aviation located at the Rogers Executive Airport. Beaver Lake Aviation, a wholly owned subsidiary of Wal-Mart Stores, Inc., provides aviation fuel (Jet-A & Avgas), Enterprise rental cars, other ground transportation, catering, etc. to crew and passengers utilizing their private, corporate or fractional owned aircraft. More info is available on our website at www.beaverlakeaviation.com or by calling 479.636.9400. *There will be additional communication as we add new activities and updates.